I find my weekends are so much shorter. By the time Friday evening sinks in, it is Saturday afternoon. Then by the blink of an eye, it is Sunday evening. Then starts the chaos of the week. Anyway, weekdays also means, I get some time of my own. That means crafting get done. lol! 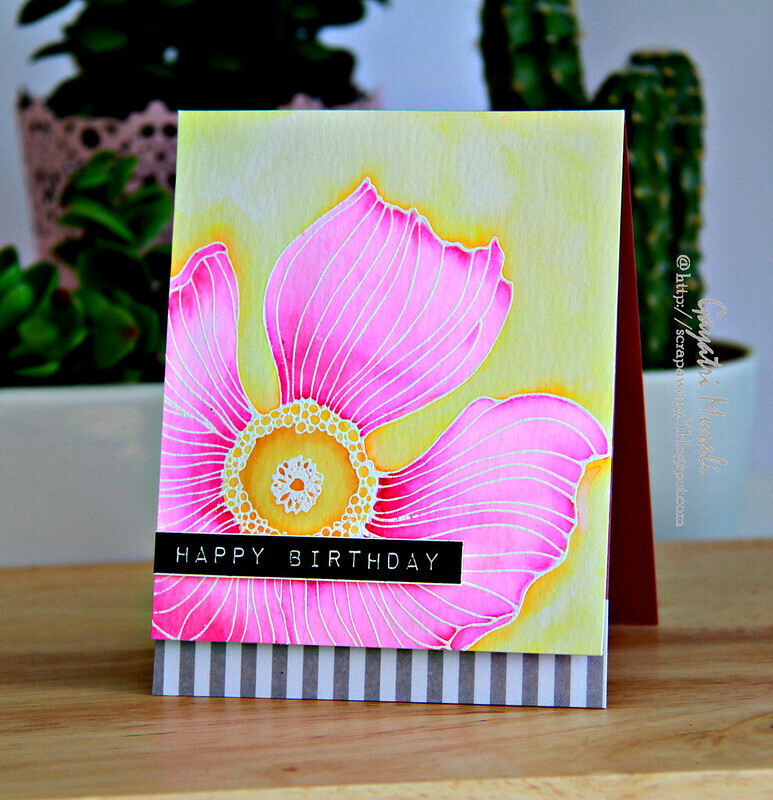 Today I sharing couple of cards using watercolour technique. I am playing long The Daily Maker 30 Day Colouring #2 – Day #2 where Kathy did the big butterfly in black and white embossing and watercoloured them. I wanted to try them out. I used Prima Marketing’s Florals stamp set to try out this technique. I heat embossed the large flower from the set in white and black. 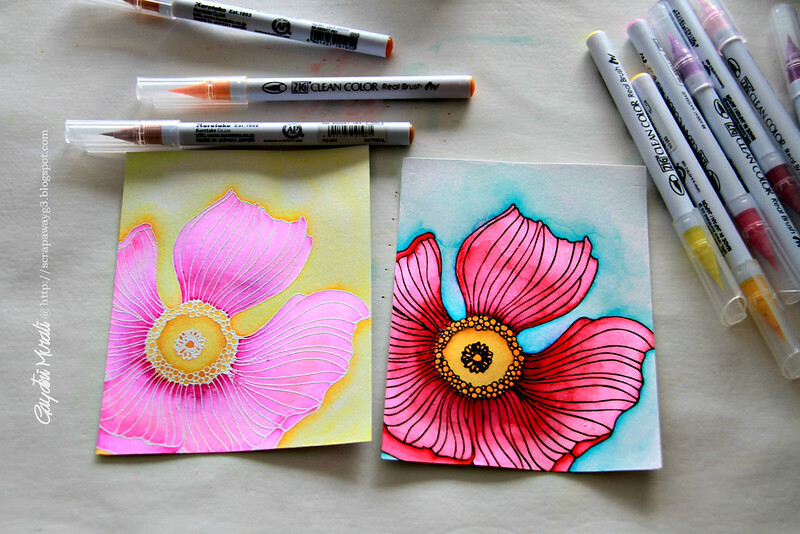 Then watercoloured them both with Zig Real Brush Pens. Love them both. The black one pops more because of the contrast of the darker colours while the white on is subtle because of the lighter colours. I like them both. Here they are made into cards. And the white embossed flower. And both of them together. Hope you like them. 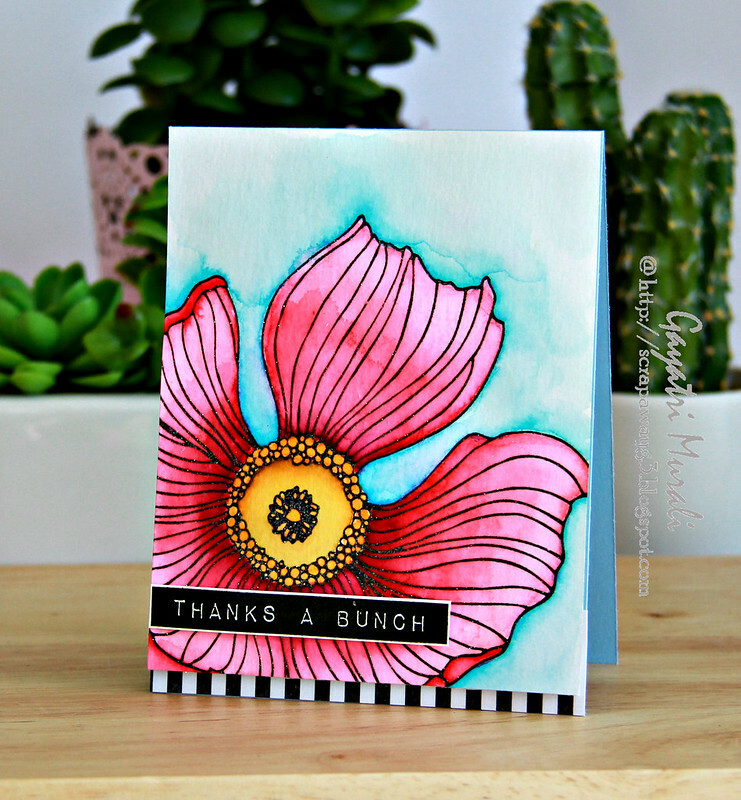 Thanks for stopping by my blog today! beautiful Gayatri. 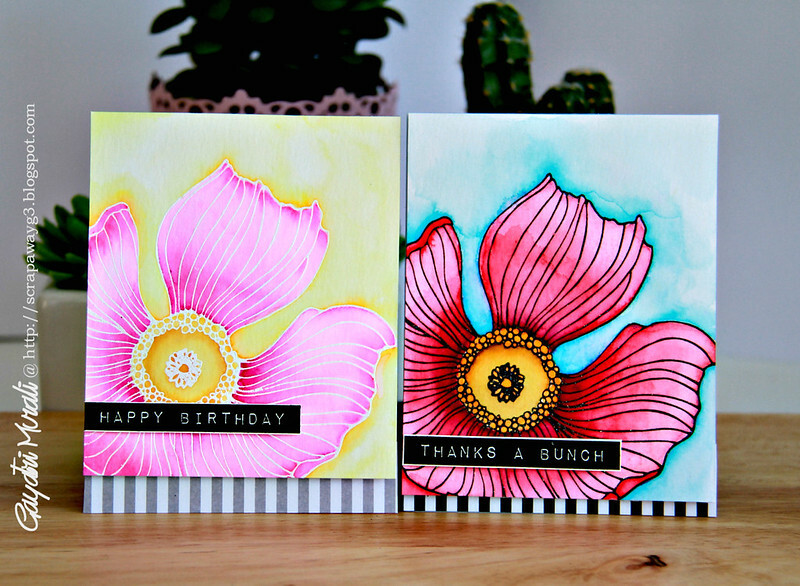 I loved the black embossed one when I saw then before making them up, but now they are both amazing! Love how you chose to use a grey stripe on the white embossed one. I am always a big fan of your cards.